A mixture of Mario and Angry Birds is this app that wants us to learn more about cleaning and to make us aware of the importance of Health & Safety. This free game was brought by ISSA (International Sanitary Supply Association) last year. Help Sweepy, the janitor, clean all dirt and germs to unlock new levels and get high scores. There are three areas to clean: the school, the office and the hospital. 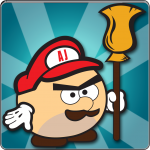 This app is a fun and quirky mix-match game that may put a smile on your face, even if you are not a cleaning professional. Give it a try! You can install it for free at Google play. This entry was posted in Cleaning Industry News, General and tagged angry janitors, cleaning news, google app on 12/08/2014 by admin. The average family of four in UK does an average of 250 cycles per year, giving washing machines a ‘life expectancy’ of about only 4 years. Choosing the right laundry detergent will help you increase your washing machine’s life considerably. But, which one is the best? Currently, the two main types of laundry detergent are powders and liquids. Both share the same active ingredients, but what are the pros and cons of using one or the other? Pro: The detergent is already dissolved (so no soap scum inside your washing machine). Pro: It can be used to clean some stains before loading the washing machine. Pro: It dissolves easily in cold water, saving on energy. Con: They are more expensive. Pro: They are cheaper than liquid detergents. Pro: They are usually packed in eco-friendly cardboard boxes. Pro: Surfactants (the bit that actually cleans your clothes) are more stable in powders, so these detergents have a longer shelf life (they are more effective than liquid detergents for longer). Con: If you use too much you can find soap residues on your clothes, meaning you will need to have another cycle to wash them off. Con: In some cases they dissolve better in warm water, so no possibility of using a cold cycle, thus higher electricity bills. Con: Sodium sulphate, used as a filler in powder detergents, can destroy septic systems. Can you think of any more pros or cons? Your choice of detergent will depend on the way you use your washing machine. Keep checking our blog for clever ideas on how to use your laundry detergents! This entry was posted in Cleaning products, General and tagged laundry, liquid detergents, powdered detergents, pros and cons of liquid and powder detergents, washing machine on 08/01/2014 by admin. 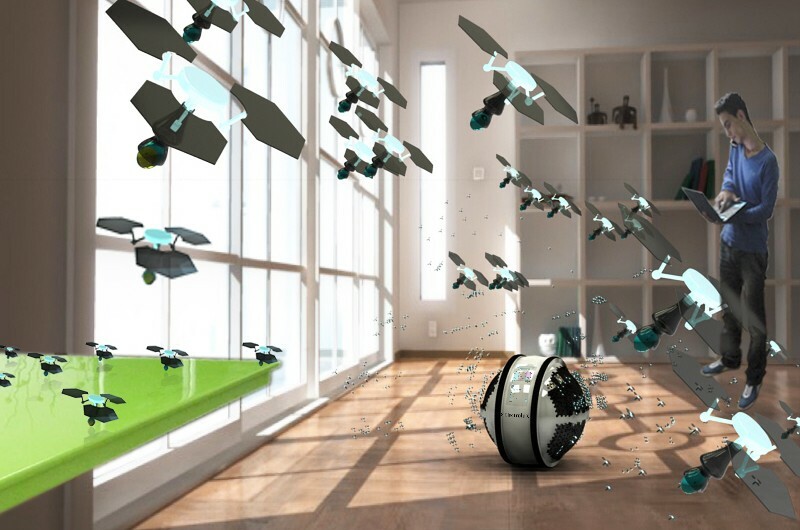 Flying robots to clean your space! A new cleaning system that uses mini robots to clean your home has been the winner of this year’s Electrolux Design Lab. Maybe elbow grease will be a thing of the past sooner than we expect it! What do you think? Will this invention be suitable for a domestic environment? Share your thoughts! This entry was posted in Cleaning Industry News, General and tagged cleaning news, cleaning robots, cleaning technology, Electrolux Design Lab on 21/10/2013 by admin. We recently red some news about the possible dangers of using antibacterial soaps. 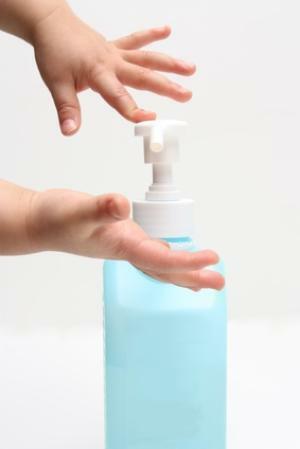 Some recent studies suggest that the overuse of antibacterial soaps may help create drug-resistant germs. Antibacterial products have been used on the health sector for decades. 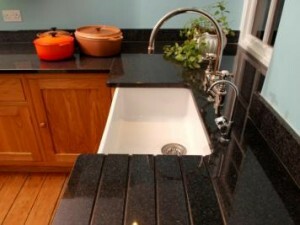 It has only been recently that antibacterial cleaning products have become “a norm” for private households and families. It has been so extended that almost half of the soaps/chemicals on sale contain antibacterial agents, such as triclosan and triclocarban. But, apparently, scientists are starting to get worried. They are still unsure whether antibacterial cleaning products work any better than the good old soap and water to keep germs below dangerous levels. Soapy water wash away germs; antibacterial products kill everything, even bacteria that are helpful to the body because they keep other dangerous bugs at bay, experts say. Scientists are warning to use antibacterial products just when needed, that is, when taking care of a child or sick person. Indeed, recent research suggests that antibacterial soaps and chemicals my encourage the growth of “super bugs” resistant to antimicrobial agents. What do you think about the findings? Do you think this “antibacterial fever” on the consumer market is a marketing strategy to sell more products or in fact we need these cleaning products to survive? This entry was posted in Cleaning Industry News, Cleaning products, General and tagged antibacterial cleaning products, cleaning news on 23/08/2013 by admin. Most of us have used or have heard about electrostatic cloths. But what is the truth about them? Are they as good as companies claim? Are they “magic” dusters? Let’s have some insight into what electrostatic cloths are and how we could use them. Electrostatic cloths are made of very tiny polyester fibres. They rely on electrostatic forces to lift the dust off a surface; these cloths create a static charge (imagine your pet’s hair when you rub a balloon on them) that will attract any dust or particles on the surface and will get stick to them. Although manufacturing companies claim that these electrostatic cloths can be used almost anywhere, these cloths will not work the same way in all surfaces. Electrostatic cloths work better when doing light dusting. They are able to pick or attract fine dust but not heavy dirt as the static forces are too weak. Electrostatic cloths do not work on greasy surfaces. 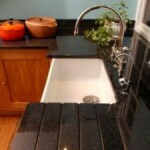 Avoid getting these cloths in contact with grease as this can damage them permanently. Electrostatic cloths have to be used when they are completely dry. Moisture can interfere with electrostatic forces, so make sure that neither the surface nor the cloth are wet. Air humidity affects the efficiency of the electrostatic cloths. Do not clean your electrostatic cloths with strong soaps or detergents as some ingredients may not rinse well and will interfere with the cloth’s static force. 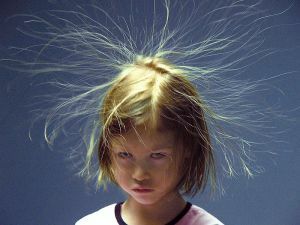 Do not put your electrostatic cloths in contact with heat. If the cloths get close to a temperature of 79C the microfibres in them will start to melt and this will reduce the capacity of generating static force. So avoid tumble dryers and ironing! Have you tried electrostatic cloths before? What do you think about them? Share with us! This entry was posted in General, How to... and tagged cleaning cloths, how to use electrostatic cloths on 26/10/2012 by admin. Domestic cleaning has been one of the oldest jobs in history; a task usually done by the women in the household. Just before the “housework revolution” in late 19th Century and early 20th Century, domestic cleaning was a harsh physical task. The job of bringing water from the pump was exhausting by itself and it needed to be done at least 8 or 10 times a day, so families could have enough water for any household tasks, from cleaning to cooking. The smoke from coal or wood burning stoves would make walls black and leave carpets full of dirt and debris. So, on a daily basis, all walls and floors and windows had to be washed and scrubbed. Before the invention of washing machines, doing the laundry was the “monster” task; one that all housewives would hate the most. Clothes needed to be soaked the day before, boiled, starched, rinsed… Homemade lye soap was used, which would irritate women’s hands considerably. Hard and exhausting domestic cleaning chores started to see light at the end of 19th Century. Do you know that the carpet sweeper was invented in the 1880s? and the mop in 1893? The electric iron was invented in 1903 and the electric vacuum cleaner in 1907. The use of these appliances didn’t extended to all households at the beginning, being only rich families the ones enjoying the improvements. 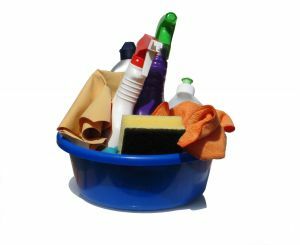 It wasn’t until 1920s and 1930s, when the use of these commodities started to spread, that we could talk about a real revolution in domestic cleaning. What do you think? Have you find a new love in your washing machine after reading this article? 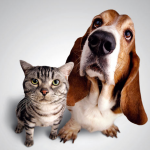 This entry was posted in Amy stuff, General and tagged cleaning history, cleaning inventions, cleaning tasks, domestic cleaning on 11/05/2012 by admin. According to an ancient tradition, the three days after Palm Sunday are devoted in many countries to a spring cleaning of the whole house, to get ready for the great feast. This tradition is a custom taken over from the ancient Jewish practice of a ritual cleansing and sweeping of the house in preparation for the Feast of Passover. So if you haven’t done any spring cleaning yet, now it’s time to start thinking about it before Easter Holiday arrives and finds you looking for the hoover still! 2- Clean the living room. Vacuum, dust and polish furniture. 3- Tidy the garden! 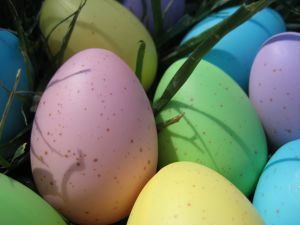 Get your garden ready for the Egg Hunt for your little ones; remove dead/dry plants and mow the green. 4- Laundry bed linen and towels. Get them ready for all your guests; take advantage of the sunny days we have now to hung them outside and let them embed the sun. If you don’t have the time or patience to get your home ready for Easter Holidays, then call Amy Cleaning for a great spring cleaning that will leave you only with the hard chore of buying the chocolate eggs! 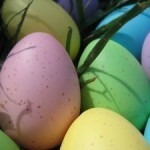 This entry was posted in General, How to... and tagged cleaning tips, easter holidays, spring cleaning, spring cleaning in easter on 26/03/2012 by admin.